And if you didn’t know, the actor also fronts a band, Calpurnia, and they’re recording their debut EP. The band are recording with Twin Peaks singer Cadien Lake James, after signing with Royal Mountain Records. Of course, the band had to tease that they’re headed into the studio, too. Wolfhard talked previously about what’s influenced him most, and those appearances in the PUP music videos for “SLEEP IN THE HEAT” and “GUILT TRIP” are huge. “If I hadn’t done the PUP video, I probably wouldn’t be playing music right now. PUP is probably the most influential band in the last 10 years of my life—them and the Beatles,” Wolfhard tells Now Toronto. We’re just stoked to give their EP a listen. Hear them covering Twin Peaks' “Wanted You” below! 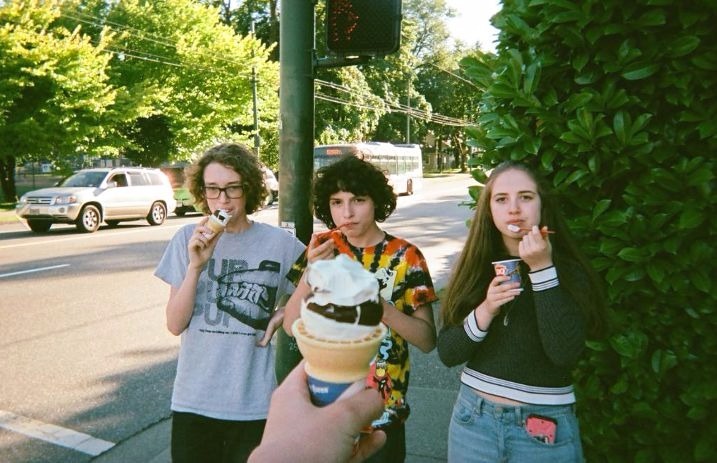 How excited are you for music from Calpurnia? Let us know in the comments!